IPR is excited to announce that students from the Digital Media & Video Production department will be screening their short films at the ICON Showplace Theater on Friday, May 13th. The IPR screening, dubbed “The Next Level,” will take place at 1:00 and will feature both screenings and Q&As with the filmmakers. Recent graduates, Ben Thorson and Lindsey Lucht, as well as final term student Audrey Swenson, will show the cumulative projects that they shot for their final production class. Ben’s short narrative, The Hunted, is about a man who is drugged, wakes up in the woods, and is pursued by a crazed hunter. Audrey’s comedy narrative short, It Happens, follows a young girl with a phobia of public restrooms as she realizes that she needs to face her fear or else… Lindsey Lucht will screen Levi LaVallee, a short documentary featuring snowmobile racer Levi LaVallee. Also screening, a short film written and directed by IPR High School Advantage student Joe Hegle, shot by High School Advantage student Parker Gorecki, and edited by DVMP student Dylan Walberg. The short, entitled Larry, was written by Joe as a part of his screenwriting class at IPR, but shot as an independent project over the summer of 2015. Larry is also a product of IPR’s Sound Design for Visual Media class. Students in program chair Jeff DesLauriers’ class handled the post production sound. The project is the first in what will be a long line of collaborations between the two programs. Lastly, the screening will feature the award-winning, professional/student collaborative, short film Personal Space, written and directed by local filmmaker and DVMP instructor Andrew Hunt. The project was the product of a teaching set that allowed students from IPR’s DVMP program to shadow professionals and serve as crew. The short was entered in the Z Fest short film competition and won Best in Fest as well as seven additional awards, including best director and best cinematography. This screening also marks an expansion of the mission of the EDU Film Festival, Minnesota’s premier festival for high school students. 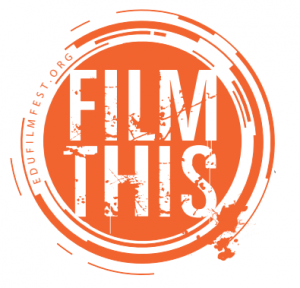 The festival hopes that this is only the beginning of programming that features filmmakers in their early twenties. The festival, now in its ninth year of operation, will continue to offer a full day of strictly high school screenings each May, but hopes to expand to a second day and night of screenings by emerging, regional filmmakers under the age of 24. Support our young filmmakers by attending this event at 1:00 on Friday, May 13th at the ICON Showplace Theater in St. Louis Park. Keep an eye on IPR’s Facebook and Twitter feeds for more information about the individual films. Watch the trailer for Larry.